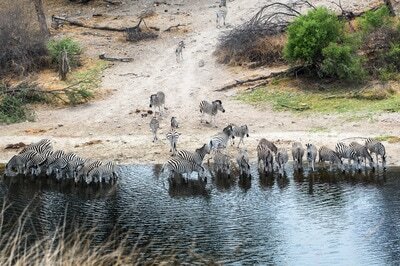 ​Maun is the third largest city in Botswana. Originally founded in 1915 as the Batawana tribal capital, today the city is an eclectic mix of old and new. Modern buildings are interspersed with traditional huts and donkeys and goats wonder the streets. Today it is the ‘tourism capital’ of the country, as the gateway to the Okavango Delta. A stop over here can be used to book a flight over the delta and enjoy the amazing aerial views, or simply to relax at the start or end of your journey. 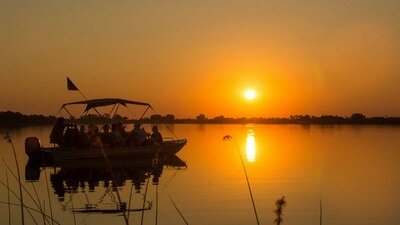 The best time to travel to Maun is during the winter months. Than there will be little to no rain and the days are warm and sunny. A real highlight of the city is a visit to one of the local villages. 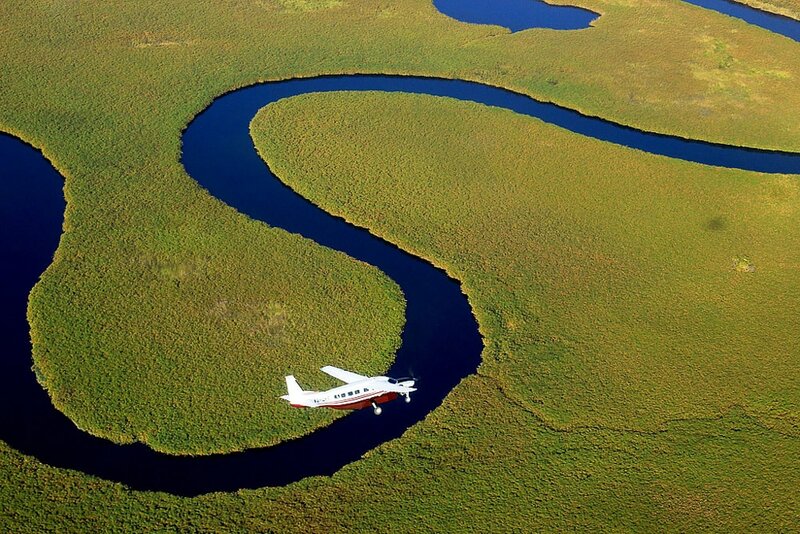 The Okavango Delta is the largest inland delta system in the world and because of this one of the most interesting areas in Botswana. The area was accepted as a UNESCO world heritage site in 2014. The many swamps, islands, lagunes and canals make this delta unique in the world. The Okavango River that runs through the area is roughly 1600 kilometres long.The Okavango Delta offers its visitors spectacular sightings of large game as well as beautiful birds and a pristine natural environment. It is a paradise on earth with large numbers of elephant, hippo on every corner of the river, buffalo who come to drink en masse, migrating zebra's, lechwe, giraffe reaching for the highest trees and warthog running around on the river banks. 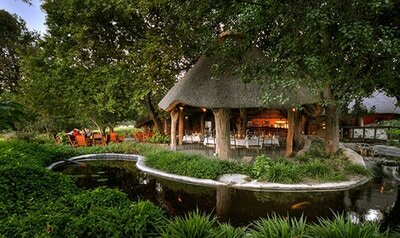 ​Royal Tree Lodge is a 4-star lodge located on a private game reserve, 10 minutes from Maun city centre. This luxurious lodge allows for an intimate interaction with the local wildlife, including ostrich, zebra, giraffe and kudu. 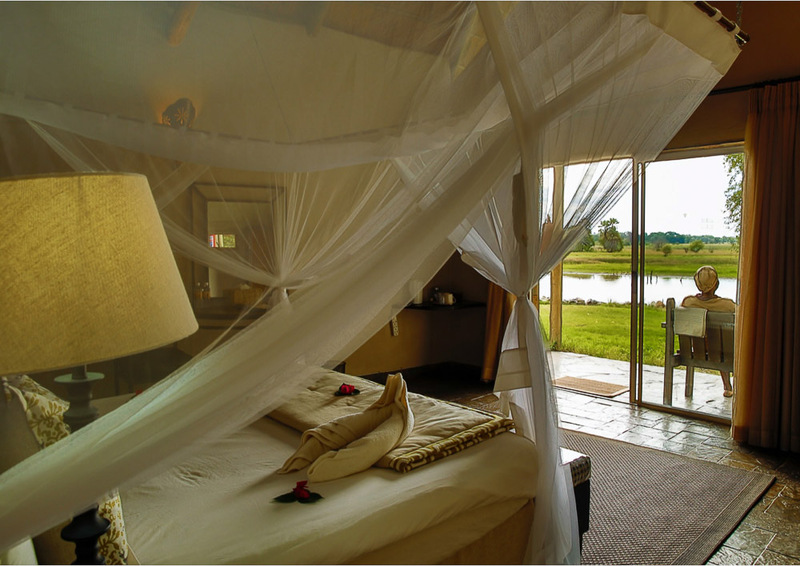 Guests can relax in one of the Royal Tree Lodge’s private and spacious tents or romantic suites. Finish off the day with a drink around the communal fire where you can share your holiday stories. Dinner is served by cande light on the deck under the stars. During your stay book a flight over the Okavango Delta and experience Botswana from another perspective or join a horseback safari. Children of all ages are welcome at Royal Tree Lodge. ​Maun Lodge is a 3-star lodge offering five different types of accommodation each with air-conditioning, WiFi and en-suite bathrooms. The lodge sits on the banks of the Thamalakane River offering beautiful views and tranquility only 10 minutes from the city centre. Guests can relax and take a dip in the pool or use the on site sports centre. The Maun Lodge staff are happy to assist you with organizing activities. They offer daytrips into the Okavango Delta, cultural tours or a visit to Okavango Ceramics. 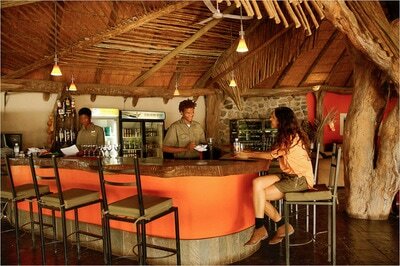 A variety of dining options are available at Maun Lodge. Children of all ages are welcome at Maun Lodge. ​Ideally located, Thamalakane River Lodge is a 3-star lodge on an easy 20 minute drive from Maun en-route to the famous Moremi Game Reserve. The en-suite stone chalets overlook the Thamalakane River offering spectacular views. The widely acclaimed restaurant serves à la carte and buffet meals. Relaxing at the poolside, bird spotting and reading are the favourite activities around the lodge. The lodge is perfectly positioned to explore some of Botswana’s must see attractions and a variety of activities are offered at the lodge. Children of all ages are welcome at the Thamalakane River Lodge.